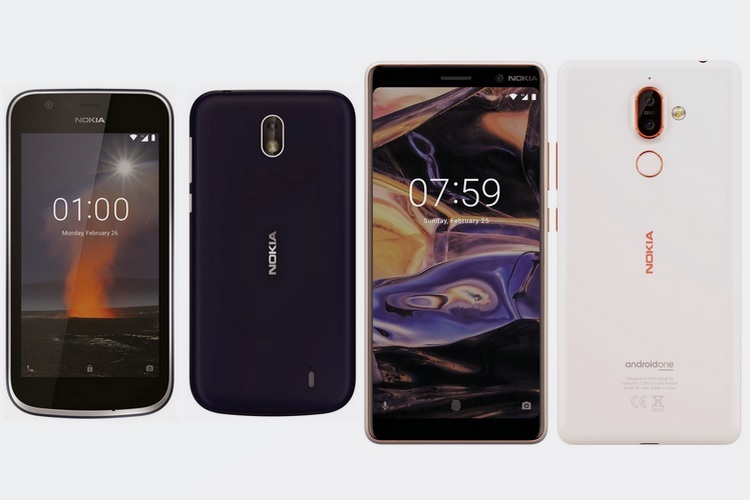 HMD Global has announced that a new line-up of Nokia smartphones will be unveiled a day before MWC kicks off later this month. And one of the devices expected to be launched, the Nokia 7 Plus, was spotted on Geekbench, and we also got a look at some leaked specs. 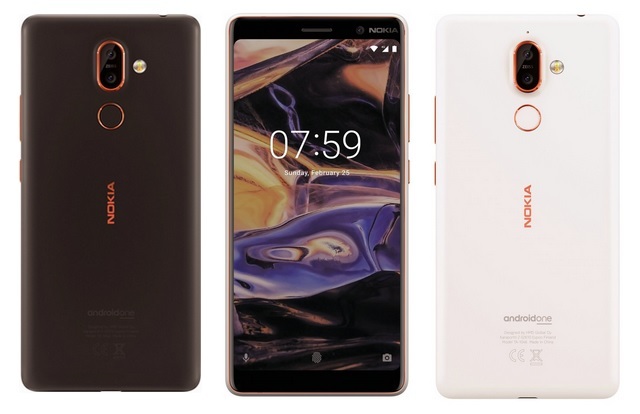 Renowned tipster Evan Blass has now leaked high-quality images of the upcoming Nokia 7 Plus smartphone, alongside an entry-level smartphone called Nokia 1. He further revealed that the Nokia 7 Plus will run Android One. Although the new leak only contains high-resolution images of the upcoming Nokia 7 Plus and the Nokia 1, we already know the key specifications of the former from a leaked promotional slide of the device. The Nokia 7 Plus is likely to feature a 6-inch display with an 18:9 aspect ratio encased in a unibody build. Under the hood, the upcoming device is expected to pack a Qualcomm Snapdragon 660 SoC which scored a respectable 1636 points in single-core and 5902 points in the multi-core test on Geekbench. The Nokia 7 Plus is also said to be equipped with 4GB of RAM, 64GB of internal storage and an Adreno 512 GPU. In the camera department, it should be capable performer thanks to the rumoured Zeiss-certified 12MP+13MP dual camera on the rear side and a 16MP front camera. Moreover, the rear camera combination will also be capable of 2X optical zoom. The leaks also show that Nokia 7 Plus will come with Android One, which means faster software updates and likely long-term support. The Nokia 1 appears to be an entry-level offering from HMD Global, and its design which appears to be made out of some form of plastic/polycarbonate certainly reflects that. 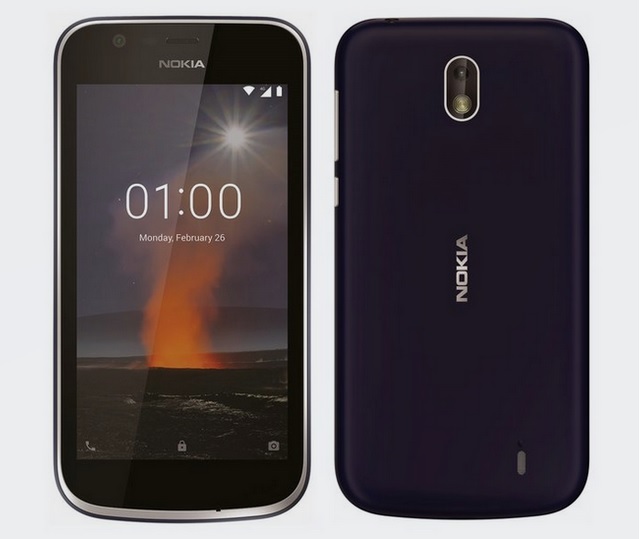 The leaked images suggest that the Nokia 1 will be available in two shades viz. deep blue and red. No concrete details about the Nokia 1’s specifications are known at the moment, but from the looks of it, expect nothing more than a low-tier spec sheet. The one thing that could set it apart is Android Go Oreo, which is built for low-end phones. Both the Nokia devices are expected to be unveiled on February 25 at HMD Global’s official press event in Barcelona. We’ll keep you updated with new information once the smartphones are officially announced.